Birmingham should set out to be the UK&apos;s fastest growing core city, the council leader has said. 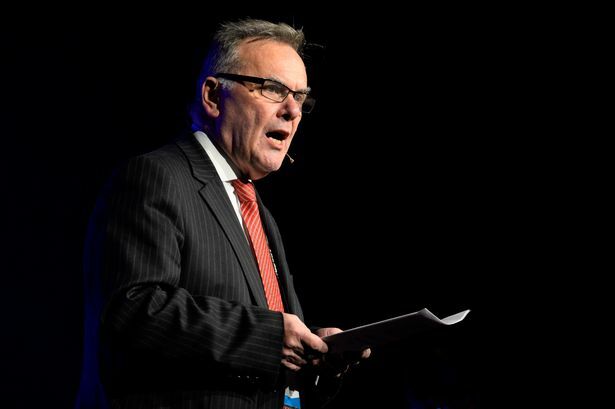 Labour leader Sir Albert Bore outlined his ambition as he told colleagues the city was in line for "a level of economic success we have not seen for 50 years". But, while highlighting the booming economy, he was criticised by Tory and Lib Dem opponents for overlooking the problems which have beset the city council over the last year. Sir Albert, in his annual leader&apos;s statement, said: "The latest figures show growth in the West Midlands is now outstripping that of any other core city region. "The region is now the nation&apos;s only exporter with a trade surplus with China. 2015 will be a special year in the city&apos;s journey back to prosperity." He highlighted a range of major developments which were under way including New Street station and Paradise. "All in, a total of more than one million square feet of new offices are in the pipeline for the next two years which means growth and jobs for the people of Birmingham," he added. He said expansion of the City Centre Enterprise Zone announced last week would create investment of £1 billion. And added the economic success would be enjoyed by everyone with policies designed to give training and apprenticeships. Sir Albert also pledged to plough on with the transformation of the local authority following the damning Kerslake review, Trojan Horse and children&apos;s services failure. There was one note of caution over the prospect of further cuts from government and Sir Albert welcomed the appointment of new Local Government Secretary Greg Clark, admitting he would not miss his predecessor Eric Pickles. "I hope he (Clark) will adopt a more positive approach when it comes to the funding of our local services," he said. But opposition Conservative leader Robert Alden (Erdington) accused him of glossing over the problems. Coun Alden said: "There is no concise strategy and clear vision for this city going forward." He said the list of economic successes appeared more like a sales pitch for the MIPIM developer conference than a council leader&apos;s statement. "We have an improvement panel, two government commissioners in this city and service failure, it&apos;s just not good enough," he said. His colleague Coun Peter Douglas Osborn, referring to Sir Albert&apos;s pessimistic statements of previous years, said the "jaws of doom have now been replaced with the joys of boom". The council was also told a firm proposal for the West Midlands combined authority would be put to the council and public this summer before being presented to government in September. But he said there had been no mention of the elected mayor and avoided talk of &apos;Greater Birmingham&apos; in his speech - both areas of contention.